Congratulations to Dr. Charles Long, who recently accepted an invitation to be on the editorial board of The Open Atmospheric Science Journal, published by Bentham Science Publishers. The journal is a relatively new open-access online peer-reviewed publication, free to readers worldwide. Using an all-electronic format, the journal rapidly publishes original research articles, short articles, and review articles in all areas of climate research and atmospheric science. 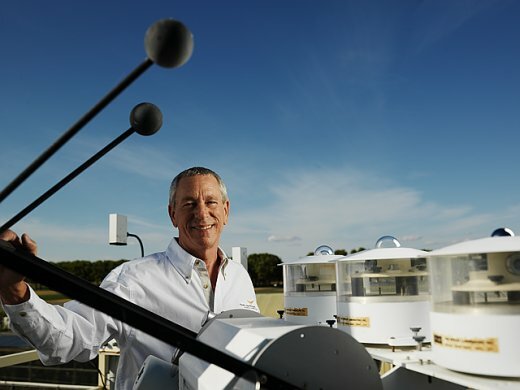 Long specializes in the study of clouds and their effect on the surface radiation energy balance of the Earth-atmosphere system. He is the Tropical Western Pacific Site Scientist for the U.S. Department of Energy's Atmospheric Radiation Measurement (ARM) Program. He is internationally sought after in the scientific community based upon his reputation in the field. Long currently has 51 published papers in peer-reviewed atmospheric science journals, 17 technical reports, and over 80 conference proceedings publications. He is also an invited coauthor for the World Meteorological Organization Global Energy and Water Cycle Experiment's (GEWEX's) Radiative Flux Assessment chapter on surface observations, and an appointed member of the Global Energy Balance Working Group of the International Radiation Commission (IRC).